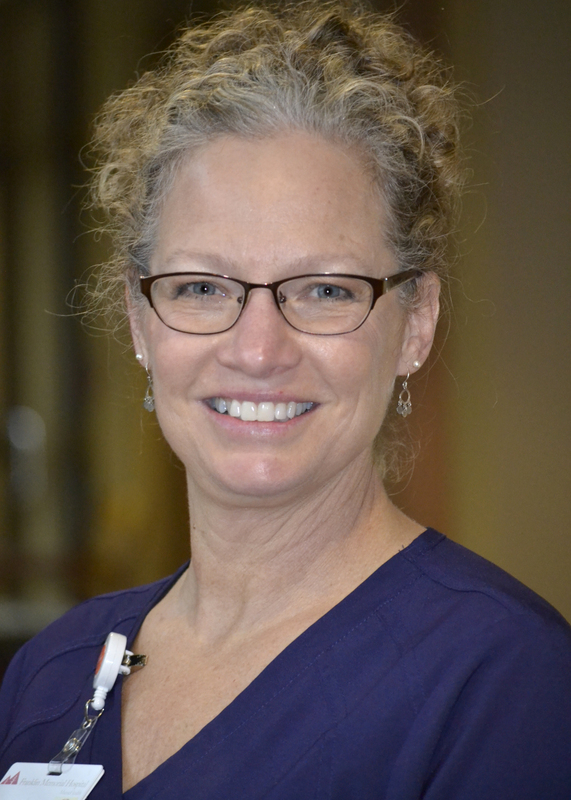 FARMINGTON - Franklin Memorial Hospital is pleased to announce that Rhonda Pierce, RN, BSN, OCN, CNOR, has earned the Oncology Certified Nurse credential from the Oncology Nursing Certification Corporation. The purpose of the credential is to promote excellence in patient care and professional practice by validating specialized knowledge in oncology nursing. To receive the credential, Pierce passed a comprehensive three-hour certification test in specified subject areas such as oncologic emergencies, treatment modalities, and symptom management, among others. Certification is valid for four years. Pierce, a resident of New Vineyard, started at FMH in 1997 on the medical/surgical 3rd floor unit. After four years she went to oncology nursing, then surgical services, before transitioning back to her present role in oncology and hematology services, where she has more than 13 years of patient care experience. As an oncology nurse at Franklin Memorial, Pierce provides chemotherapy, biotherapy, intravenous fluids administration, blood product transfusion, and hematologic medication administration for patients with cancer and blood diseases including various cancers of the blood and bone marrow. Congratulations Rhonda! You are such a blessing helping others. Congratulations, Rhonda! You are absolutely awesome. So happy for you, proud of you and glad you are receiving recognition for all your hard work! CONGRATS! I am so happy for you. You have worked hard and the recognition is well deserved. Congratulations Rhonda! We love having you as our RN! Congratsulations Rhonda youve worked very hard. Congratulations Rhonda. FMH is blessed to have you on their team and you are a gift to your patients. YAH!! Congrats Rhonda - well deserved. Thank you all! I’m grateful in so many ways! our community. You're kind heart and professional care has had a lasting impact on many of us. Ms. Pierce is not only an acclaimed, multifaceted professional, she is also a kind, intuitive, loving human being.